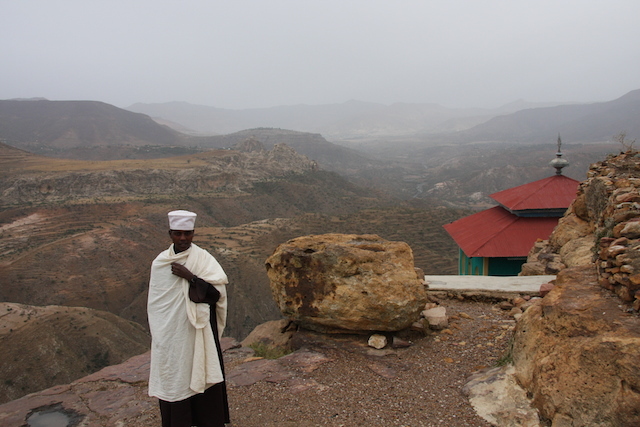 DEBRE LIBANOS, Ethiopia, May 8 2014 (IPS) - Misganew Andeurgay changes his bamboo-made pen for another, dips it in a tiny pot of viscous liquid and, on a parchment page filled with black script, begins to trace in scarlet-red ink the Amharic word for god. 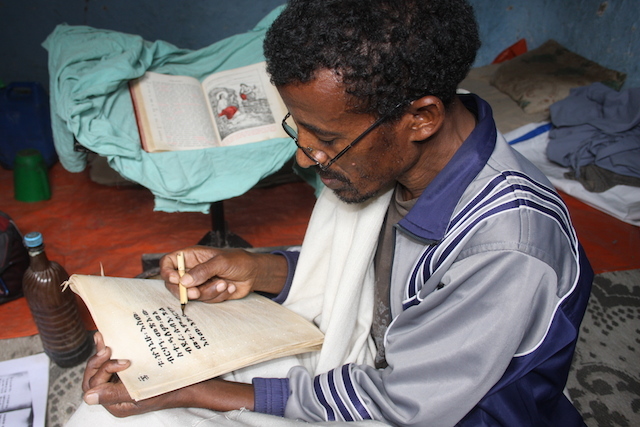 For centuries Ethiopian scribes like Misganew have written holy texts in manuscripts made out of leather and with worshipful respect, inscribing on them holy names in red ink. “It is a difficult job but I like it,” 50-year-old Misganew, who has taught and practised the craft of writing Amharic calligraphy for 21 years, tells IPS. He adds that sitting on the floor for hours on end as he writes is hard on his knees and legs. He travelled 700km from Gondar in northern Ethiopia to work at Debre Libanos, 100km north of Addis Ababa, because here leather is more accessible and he can make more money. His family, including his five children, wait for him in Gondar. But concerns are mounting that Ethiopia’s manuscript tradition and the many livelihoods and skills associated with it — such as calligraphy, parchment production, book binding, and illustration arts — are under threat. Ethiopia’s growing economy has achieved an average 10 percent growth since 2004. This is set to continue in the coming years with a somewhat reduced but still high eight percent growth rate. Although the story of this Horn of Africa nation’s economy is heartening in appearance, it is hardly a story of a rising tide of prosperity that has lifted all people along with it. “We need to promote the skills in a modern way and make them useful for contemporary life.” -- Hasen Said, chief curator of the Ethnological Museum in Addis Ababa. Scribes, for example, have been adversely affected by the country’s burgeoning leather industry. In 2011, total shipments of leather and leather products generated 2.8 billion dollars and by 2020 that figure could increase by another four billion dollars, according to the Ethiopian Ministry of Industry. But this seemingly positive trend has driven up the price of leather, the raw material on which scribes depend. Manuscript making is becoming increasingly expensive while already being immensely time consuming compared to the printed press. Because of this, parchment manuscript production in Ethiopia is declining, says John Mellors, an Ethiophile and independent researcher who has visited Ethiopia regularly since 1995. “Another problem is that scribes are increasingly struggling to find patrons who traditionally have bought books for churches or themselves,” Mellors tells IPS. Many people in larger towns assume parchment books stopped being made many years ago and so wouldn’t even consider commissioning a book to be made, he explains. Misganew works for about 12 hours a day as he slowly and steadily traces graceful Amharic characters along faint grooves etched into the parchment. By the end of the month he can usually produce a book of at least 32 pages, which could sell for about 3,000 birr (157 dollars) — if he can secure a customer. But in general, scribes’ average earnings are now so low that it is putting off a new generation from taking up the craft, further endangering the manuscript tradition, Mellors says. It is generally agreed that the origin of parchment making found in Ethiopia today likely lies with Christian monks who braved crossing the Red Sea around the 4th century and brought the bible with them. “These texts were subsequently copied by scribes onto parchment using techniques that appear to have changed very little up until the present day,” Mellors says. Methods exist in Ethiopia that have not been used in European parchment production for over a thousand years, Richard Pankhurst, a renowned authority on Ethiopian manuscript illustration, tells IPS. “This makes Ethiopia unique in keeping the tradition so far into the modern age,” Pankhurst adds. Although how much longer it can survive in these modern times is the question at stake. “The basic method for making parchment manuscripts in Ethiopia should survive as it’s reasonably well documented already,” Mellors says. While British leather manufacturer Pittards, which has sourced leather from Ethiopia for nearly 100 years, announced that it wants to give something back by helping protect the country’s ancient parchment manuscript-making tradition and the skills associated with it, concerns remain. New technologies as well as older forms can coexist in a country like Ethiopia that has a rich history while becoming more of a global nation, Hasen argues. 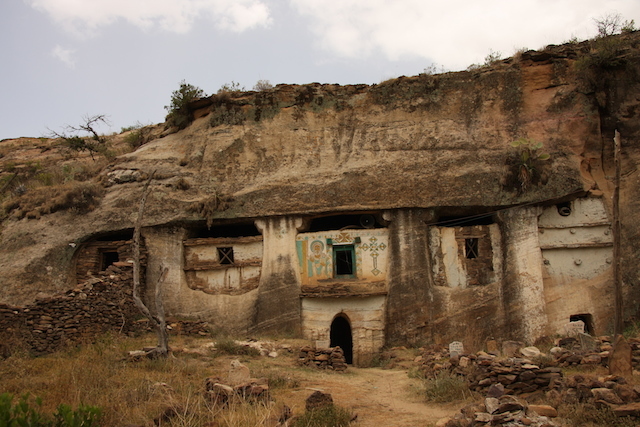 The medieval monastery at Debre Libanos, which houses the last school for apprentice scribes, is a source of some hope that the tradition of parchment manuscript production will survive, Hasen says. When IPS visited the monastery all the students were yet to return from their Easter break. The monk IPS talked to was reluctant to be drawn into a conversation about how student numbers were faring, and suggested that such matters were best left in god’s care. 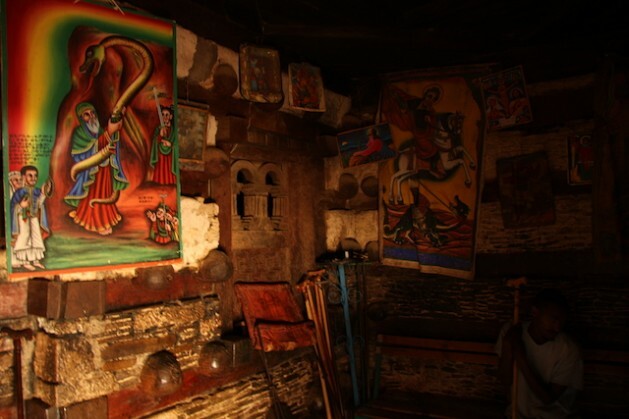 But many national treasures are poorly looked after due to the lack of adequate space and resources available for storage and restoration, according to the Society of Friends of the Institute of Ethiopian Studies. Throughout Ethiopia’s long history, Ethiopia has had to contend with silver crosses made from Maria Theresa dollars, crowns, ornate incense burners, precious religious icons and the like being taken out of the country illegally. The monk IPS spoke with was quick to point out that the hundreds of manuscripts looted by the British Army after the Makdela Expedition in 1868 still reside in the United Kingdom. Judging by the evidence, it will likely take more than strong faith if Ethiopia’s manuscripts, associated traditions and other artefacts are to survive. Really interesting story. I want to find out how to buy one. Have sent this to other book lovers and museums, super important to preserve this. Thanks yo9u for the article.